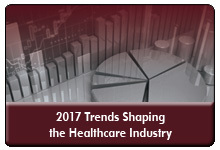 The loss of cost-sharing reduction (CSR) payments in the health insurance marketplaces would destabilize insurance markets and add to the federal deficit, according to a new infographic by NEJM Catalyst. The infographic examines the impact of ending the CSR payments on premiums of silver plans on the exchange as well as for Medicaid expansion and non-expansion states and the impact on the federal deficit through 2026. 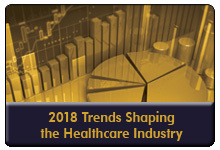 During Trends Shaping the Healthcare Industry in 2018: A Strategic Planning Session, a 60-minute webinar on December 7th, two industry thought leaders Cynthia Kilroy, principal at Cynthia Kilroy Consulting and Brian Sanderson, managing principal, healthcare services, Crowe Horwath, will provide a roadmap to the key issues, challenges and opportunities for healthcare organizations in 2018. The percentage of Americans under age 65 who lack health insurance decreased from 2010 to 2015, according to new data from the Agency for Healthcare Research and Quality (AHRQ). 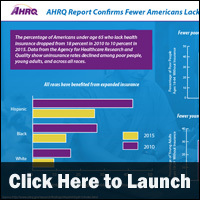 An AHRQ infographic examines the uninsured rate among poor people, young adults, and across all races. Sixty-one percent of adults paying health insurance premiums through the Affordable Care Act’s marketplaces are reporting they are somewhat or very easy to afford. The Commonwealth Fund summarizes the experiences of health insurance marketplace customers in terms of affordability and plan satisfaction in a new infographic. 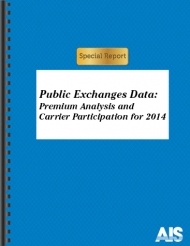 As health plan operators last year were preparing to offer plans on the state-run and federally facilitated health insurance exchanges, they could only guess at the age and health of the population that would enroll, and they had no information about how their competitors would price their plans. Under the Affordable Care Act, some health insurance marketplaces have taken steps to improve healthcare quality and delivery in their states. A new infographic from The Commonwealth Fund examines which states and how the marketplaces are improving quality. 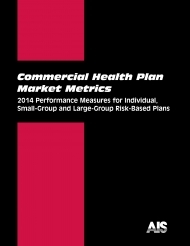 The new health insurance exchange marketplaces, public and private, will have a profound impact on the under- and uninsured…and will permanently alter the way health insurance is bought and sold. 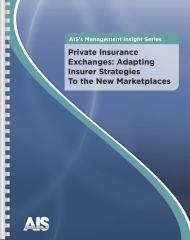 AIS’s Health Insurance Exchange Directory and Factbook is the definitive health industry guide to health insurance exchange implementation and stakeholder strategies, with in-depth coverage of every big-dollar business issue related to the new marketplaces — including technological infrastructure, consumer support tools, benefit design, marketing, FFEs and much more. Sixty percent of people with new coverage through the Affordable Care Act have visited a doctor, gone to the hospital, or filled a prescription, according to a new infographic by The Commonwealth Fund. The infographic explores how the ACA has impacted previously uninsured adults and young adults, how the Medicaid expansion has impacted the uninsured rate and whether the newly insured would have been able to afford care previously.